Is your garden soil drying out too fast? Many of us with dry, sandy soil know the frustration of watering thoroughly in the morning, only to find our plants wilting by the afternoon. In areas where city water is costly or limited, this is especially a problem. 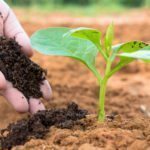 Soil amendments can help if you’re soil dries out too quickly. Continue reading to learn about retaining moisture in the soil. Keeping garden beds weeded helps in retaining moisture in the soil. 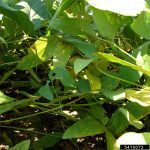 Excessive weeds can rob soil and desirable plants of the water and nutrients they need. Unfortunately, many weeds can thrive and flourish in dry, sandy soils where other plants struggle. If your soil dries out too quickly, mulch can also help with retaining soil moisture. Mulch helps prevent water evaporation. When mulching for moisture retention, use a thick layer of mulch 2-4 inches deep. While it is not recommended to heap thick mulch around the crown or base of plants, it is a good idea to mound mulch in a donut-like fashion a few inches away from the plant crown or tree base. This little raised ring around the plants encourages water to flow down toward the plant roots. Soaker hoses can be buried under mulch when soil still dries out too quickly. The best method of retaining moisture in the soil is by amending the top 6-12 inches of the soil. To do this, till or mix in organic materials that have high water holding capacity. 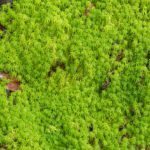 For instance, sphagnum peat moss can hold 20 times its weight in water. Humus rich compost also has high moisture retention. Many of these amendments have added nutrients that your plants will benefit from too. Creating moat-like basins around planting beds or cross-cross irrigation ditches. Burying unglazed terra cotta pots in the soil with the lip sticking just out of the soil surface. 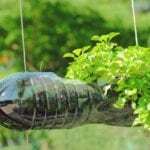 Poking holes in plastic water bottles and burying them in the soil near plants with the bottle top sticking out of the soil surface – fill the bottles with water and place the lid on the bottle to slow the seepage of the water from the holes.